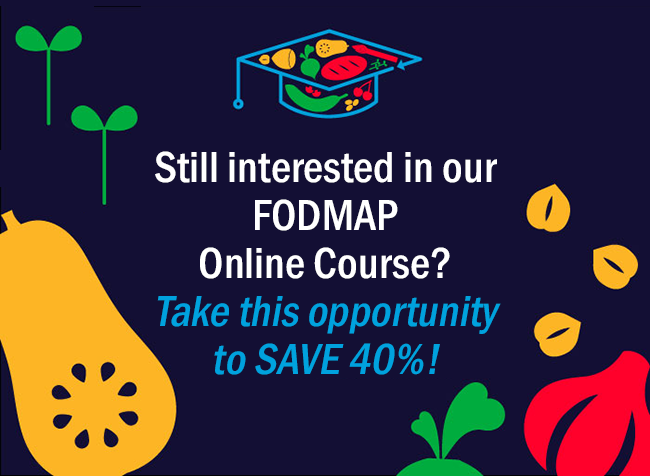 Still interested in our FODMAP Online Course? 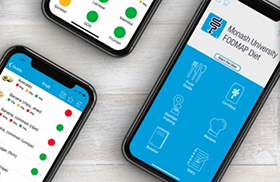 You can still take advantage of this unique opportunity to save while building your knowledge base and becoming a Monash low FODMAP trained dietitian. 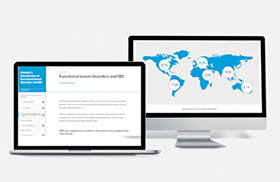 Gain expert insights from the pioneers of FODMAP research and help your patients find relief from IBS! Earn 30 CPEUs and have access to our invaluable resources. And don’t worry, you have six months to complete the course! If you’ve been thinking about getting this special training, act now and save 40%! Use discount code TD40 at checkout. Offer expires on April 17, 2019.